Discussion in 'Completed Games' started by DarkClaymore, Apr 25, 2014. A kingdom has fallen into the hands of forceful conquerors, with the capital's royal castle burnt to ashes. Often, you'd expect to play as the shiny hero, who would swear to retake his homeland in the name of justice. However, not such is the case this time around. You will be assuming the role of the fallen kingdom's princess, or more correctly ex-princess. She knows nothing about the workings of the real world, and can only dream of being strong enough to take back her land. In reality, she has difficulty surviving on her own and borrows the aid of the veteran knight who helped her escape. Rather than looking back, the princess is forced to look forward and find a path which will lead to survival. Join the adventure of the duo, as they venture through a thick forest in search of hope. They will have to carefully calculate every step, for the animals awaiting them in the forest are neither merciful nor frail. 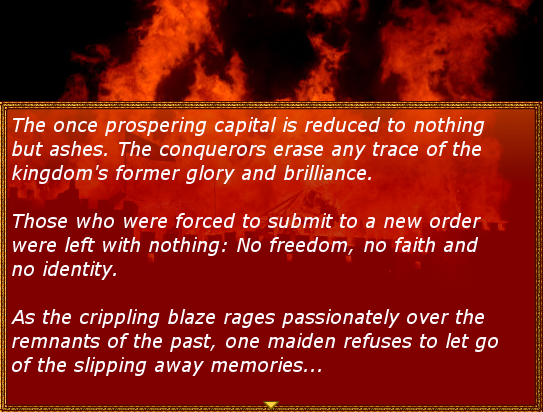 The kingdom of Mercania falls, with its capital set ablaze by the conquerors. 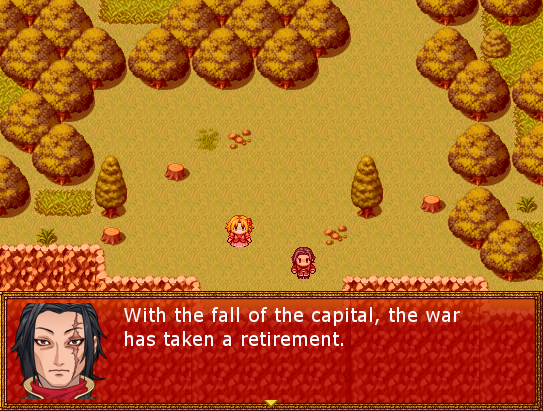 The princess, Vera, manages to elude capture and flees into the nearby forest, aided by the veteran knight Gustav. 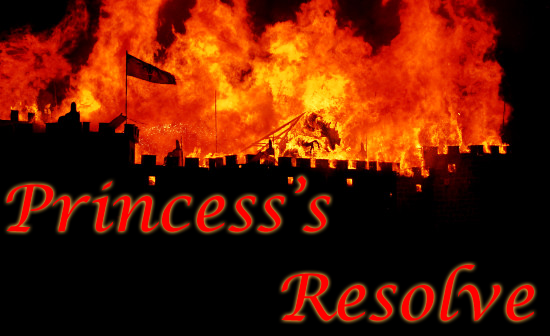 With her homeland, her whole world, reduced to ashes - all that remains for the princess is to fight for her own survival. Beyond the mountain forest lays another kingdom, neutral in alignment. Following Gustav's suggestion, the two now head to the north, hoping to find safety in neighbor lands. However, can the frail princess overcome her grief and triumph over the challenges ahead? Or will she share her fallen kingdom's fate? The princess of Mercania, who managed to escape her blazing castle together with Gustav. The castle was her whole world, and her royal life was everything that composed her reality. Now, thrown into a whole new reality, where one has to survive by one's own strengths and efforts, her spirit and resolve to survive are tested in the most primitive of ways: Fight or die. A knight of Captain rank, who helped Vera to escape unharmed from the collapsing castle of Mercania. He is a sturdy, harsh man who mercilessly pushes the princess into facing reality and swallowing her tears. He sets survival as top priority, and would do anything for that end. Progress forward through the areas of the of forest in attempt to reach your destination. Enemies await you in every corner of the forest, some will even be hidden from your sight. Misstep and you'll find yourself in the middle of combat. Ignore the above, most battles can be avoided if you play smart. There are safe hidden routes which you can exploit, and the movement of animals can be analyzed to find loopholes. 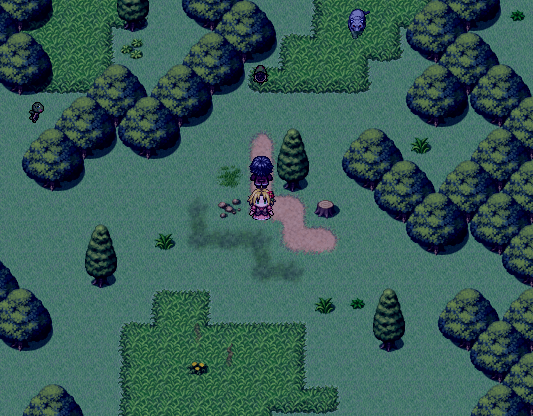 Battles follow the well-known ATB format and are happening on the map itself, without transition into a different screen. 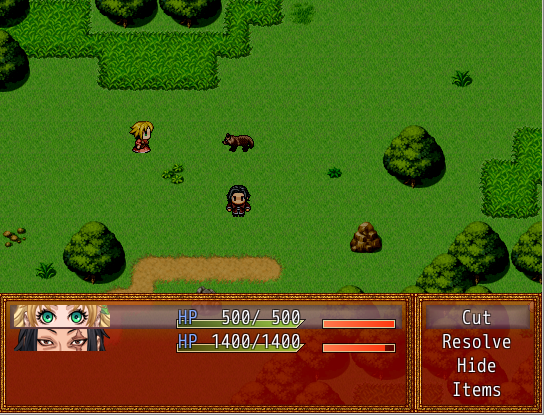 To fit the game's short and simplistic nature, the menus and controls have been adjusted to be quick and simple:The main menu is smaller and quicker, opening right away in the Items tab with the Save option right beside it. 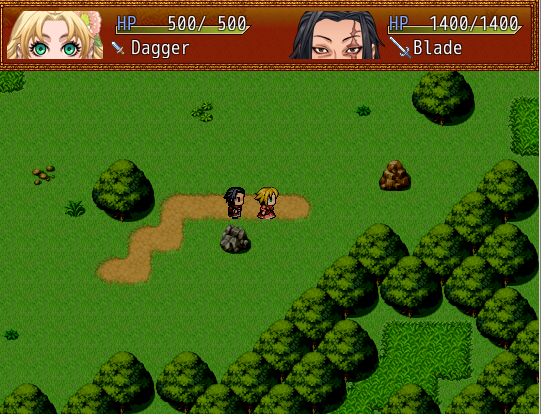 The status of the characters can be viewed at any time in the HUD which hovers at the screen's top. The HUD can be toggled ON and OFF with the D key. The party's leader can quickly swap through available weapons with the Q and W keys, without passing through any menu. [*]The game has no leveling system, and stats are only a thing of your own perception. The strong are strong, the weak are weak. There are no numbers which will tell you that, get a feel of everything through playing the game. Doesn't require any additional software, but is much heavier.